Truffles NC Black Truffle Products and Information: A Great Big Truffle Surprise! A Great Big Truffle Surprise! Sold the Tractor! More Transition Ahead! Selling the tractor really brought on a big unexpected shift – a monumental transition for me and I am no stranger to transition – believe me! It really freed me up to consider other ways to manage the orchards, outsourcing to be exact. I found a local landscaper to do the mowing and cleanup in the big orchard in time for this past week-end’s orchard tours and another local grower has volunteered to give me a hand. So, all of a sudden I’m feeling much better about the ongoing maintenance. Should be all good, right? Well, not quite. One change seems to lead to another so………. Then, I had to sit with my musings over the realities here at the truffle farm and life in general. Talk about transitions – the biggest one yet and, probably the one with the most promise (along with challenge -- and I do love a challenge) is before me. This farm is perfectly positioned for someone new to the business to start. A lot has been done, all the groundwork laid and there’s so much more to learn over the next couple of years through involvement in the research project with the specialty crop block grant. It's a "truffle grower wannabe's Dream Come True"
should begin to produce truffles in a couple of years. Another orchard of +/- 350 trees, most of which need to be removed and replaced. Resources established for that process. Spring fed pond and irrigation system that does a good job of watering both orchards. To me, it sounds like a great time to transition the farm to someone who is 10-20 years younger than me and wants to learn the truffle farming business. I can stay involved to some extent to share what I have learned over the past 14 years, spend more time with my family and work less. Friday, Dazy and I could come help you hunt truffles if you want us to. I could keep on keeping on in the truffle product business, too, unless the new owner wants that business, too. It's all up for discussion. This farm has some significant history and is located in a very scenic area with views of Pilot Mountain and Sauratown Mountain. 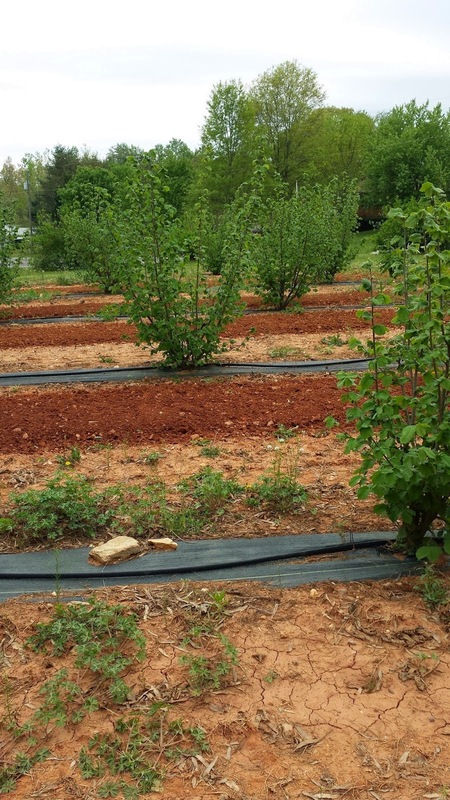 It’s one of the first farms in North Carolina to produce truffles, the first in Stokes County. Several TV segments have been filmed here including Martha Stewart. The time is right. Friday would love to greet you. There are grapevines, blueberry bushes and lots of room for whatever other crops you'd like to add. Check out the listing by clicking on the link below. What an awesome place you find yourself--literally and figuratively! Sending you bright wishes for the ongoing transformation of the farm and your life.